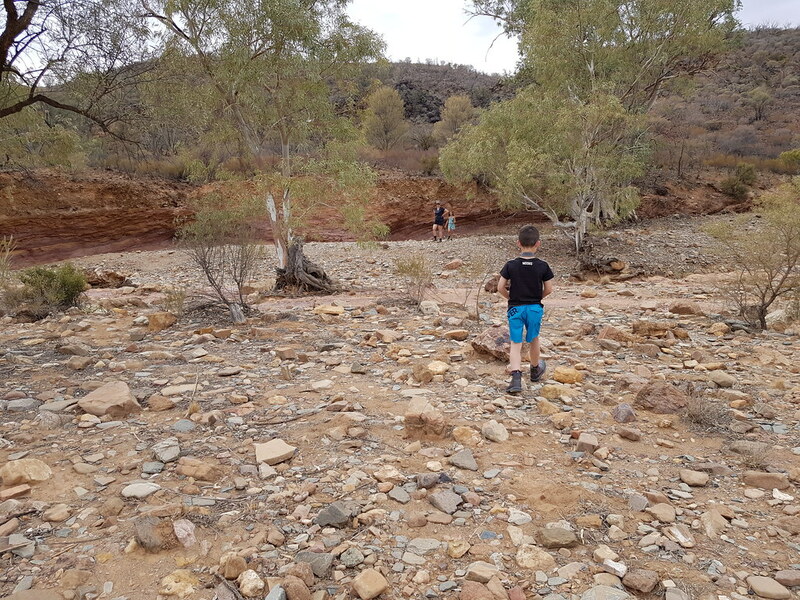 There was only a relatively short drive today before we were to arrive at Arkaroola, our first multi-night stop of the trip. 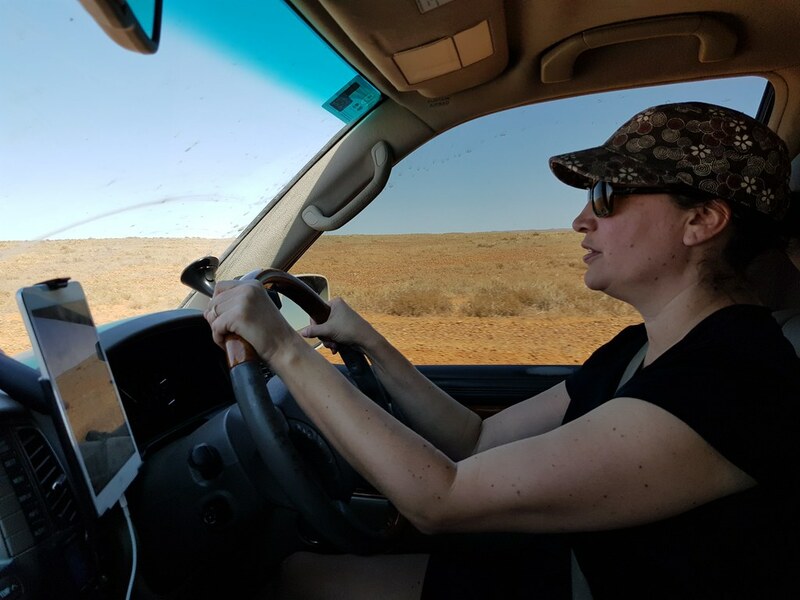 We’d travelled plenty of kilometres to get here, mostly off road, so it was going to be nice to stay put for a few days and do some exploring of the local area. 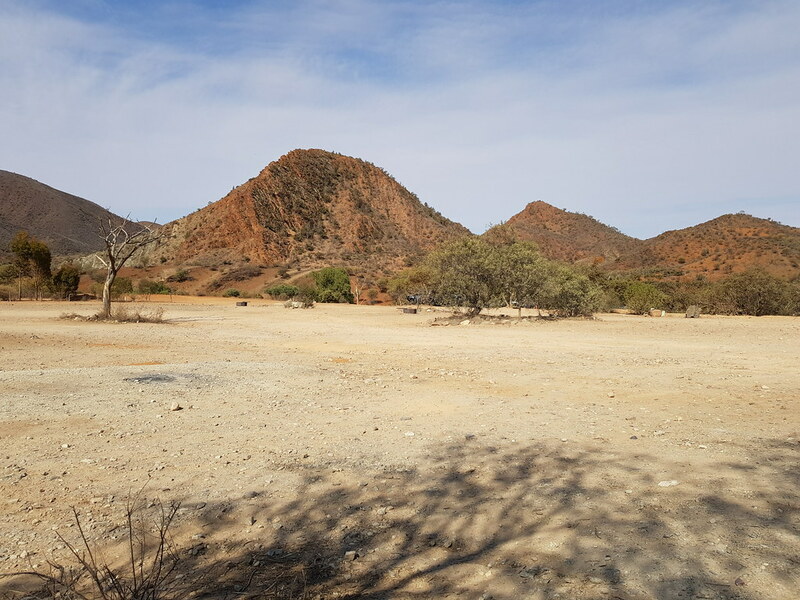 Arkaroola is at the northern end of the Flinders Ranges and would give us our first taste of this mountain range, effectively planted in the middle of the barren outback. 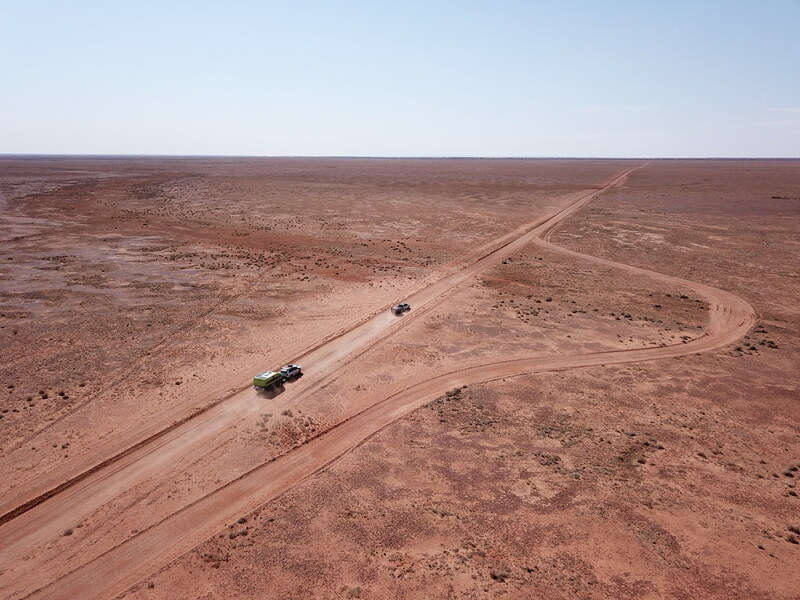 On the way we managed to find a great spot where we could take some drone footage of the cars and campers from the sky, which gives a visual indication of how vast this country really is. We’d moved out of the dunes of the Strezlecki desert, and into the plains. I had some fun piloting the drone from the passenger seat while Rach did a great job piloting Stan towing the Ulti at various speeds as I tried to get some reasonable shots. 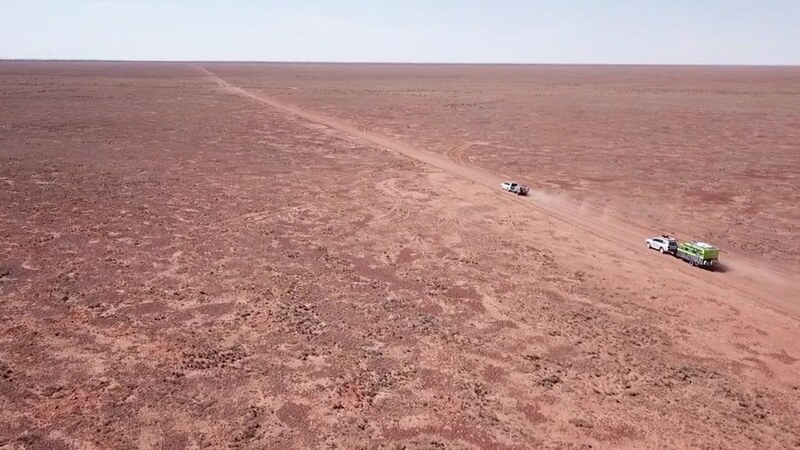 There was only one slightly anxious moment when the drone decided that it only had enough battery to return to the home point, which was now about 5km away, and made off in that direction. Fortunately I was able to cancel, take some more shots and land safely. 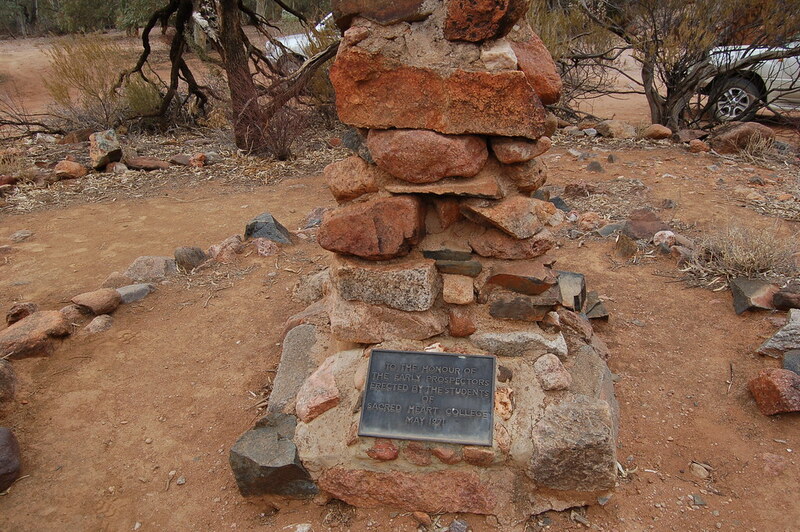 Not long after lunch we arrived at Arkaroola. Turned out that it was going to be fun when one of the managers started to give Trent a hard time about “kermit”. We liked him already! A relaxing afternoon followed getting set up for a longer stay, while the kids went and had a quick swim in the fairly cold pool! Nice view… until someone came and camped right next to us. Yes… I don’t get it! It wasn’t long after we had gone to bed that night that a big windstorm came through – I’m guessing the gusts were about 70km/h. At one point I got up and went outside just to make sure nothing important had blown away. 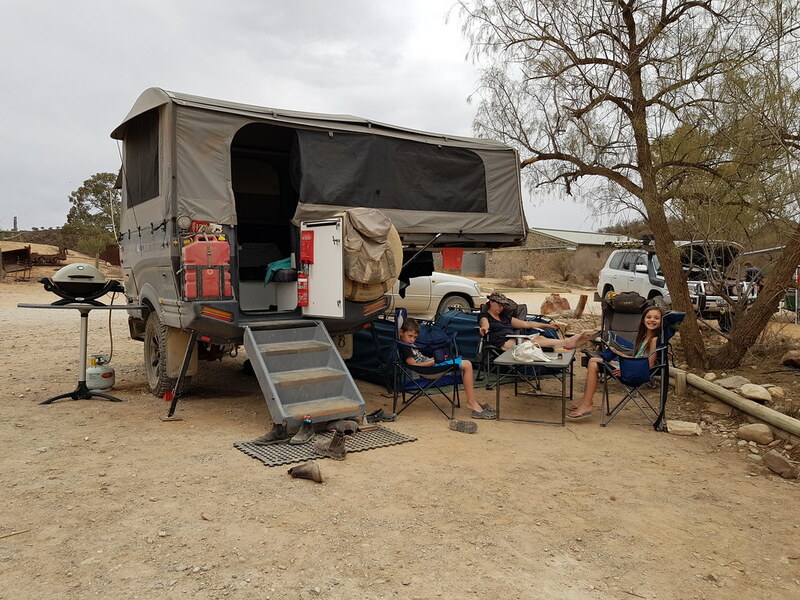 Checked the kids as well – they were still there – before a gust had me scurrying behind the camper to ensure I still had some skin left on my sandblasted legs. Went back around to make sure everything was still there and noticed that the last gust had picked up Lucas in his swag, and blown him about 3 metres away! Yes, those clouds were dark! No, they didn’t produce any rain. Fun rides notwithstanding, and not knowing what the wind was going to do, I made the call to roll up the swags, throw them in the back of the car, and bring the kids inside for the night. The wind, of course, pretty quickly died down and they could have really stayed out! Why weren’t the swags pegged down? 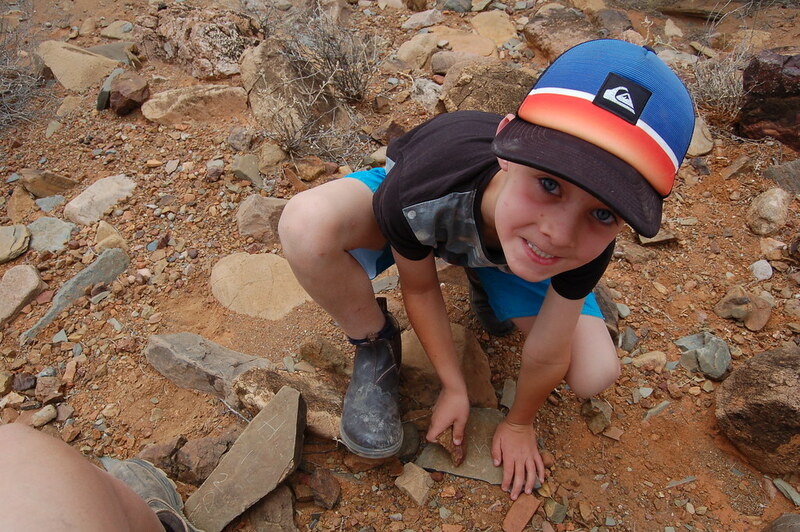 It was practically impossible to peg anything – the ground was so hard and full of rocks! 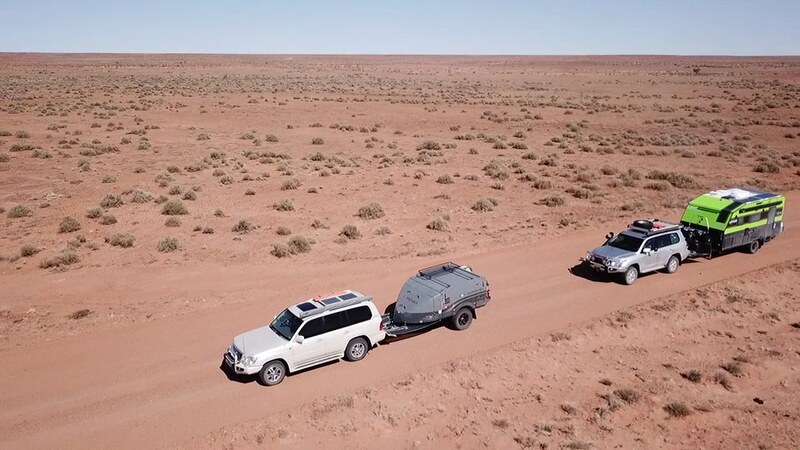 A self-drive 4WD tour of the Echo Camp Backtrack – this economically priced tour is available for visitors and guests who have their own 4WD, enabling them to experience remote and rugged four-wheel-driving with the knowledge that, should and emergency arise, help is available (a ‘search and rescue watch’ is placed on all vehicles). A printed guide-booklet is provided for all vehicles taking this tour. 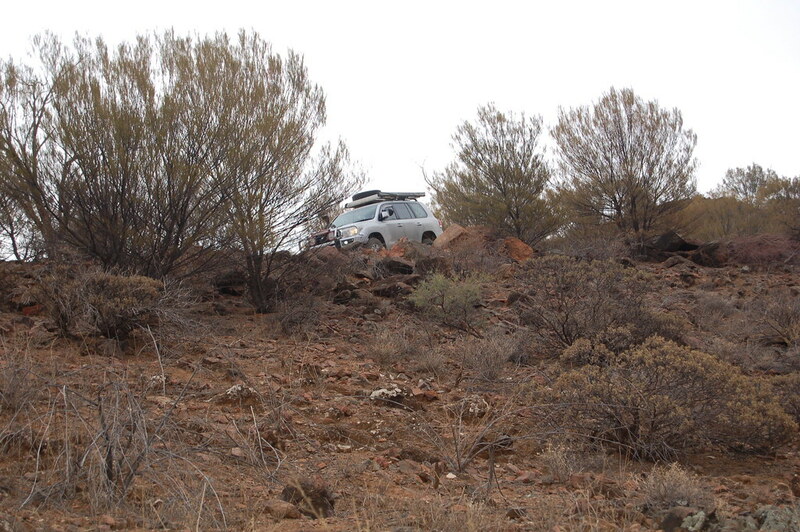 A must-do for all 4WD vehicle owners, with sections of the track classified as ‘Extreme 4WD’. 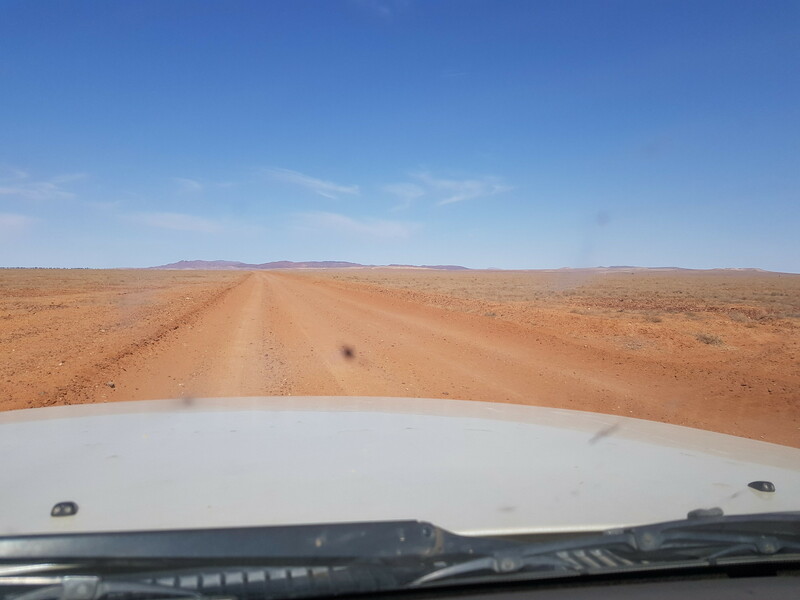 4WD with low-range is necessary for this track. Sounded exactly like us, so we paid our monies, got the relevant gate keys, and off we went… well, once we got Trent heading in the correct direction from the beginning. This was a magnificent drive through some amazing scenery. 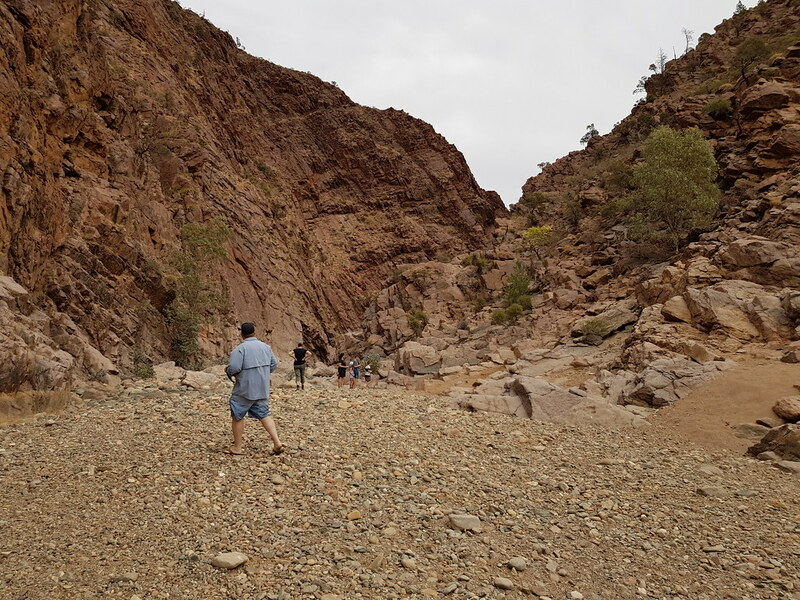 We saw dried up waterholes, where the staff actually have been carting in water for the local wildlife, gravesites, steep climbs, sheer cliffs, remarkable gorges, amazing mountaintop views, even steeper descents and plenty of wildlife including the yellow footed rock wallaby. 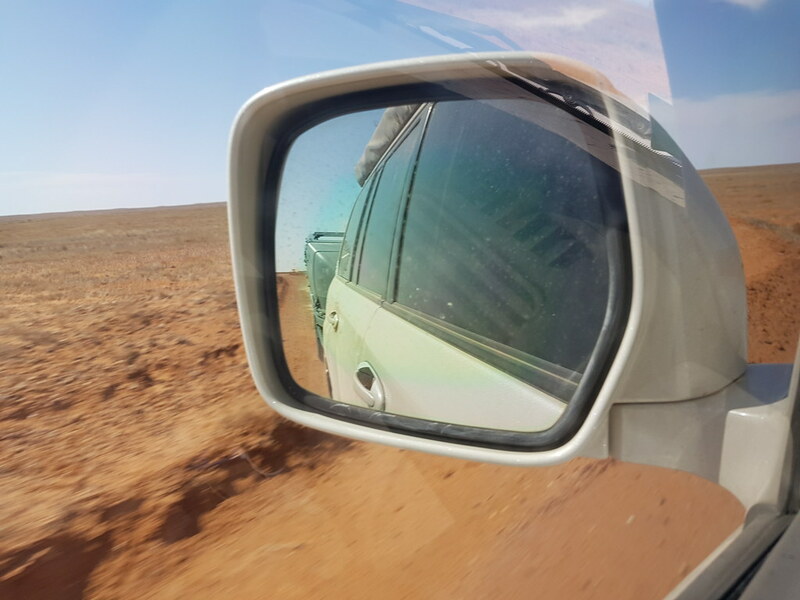 Low range was certainly necessary, as we were reminded again of how remarkable these 4WD vehicles actually are. 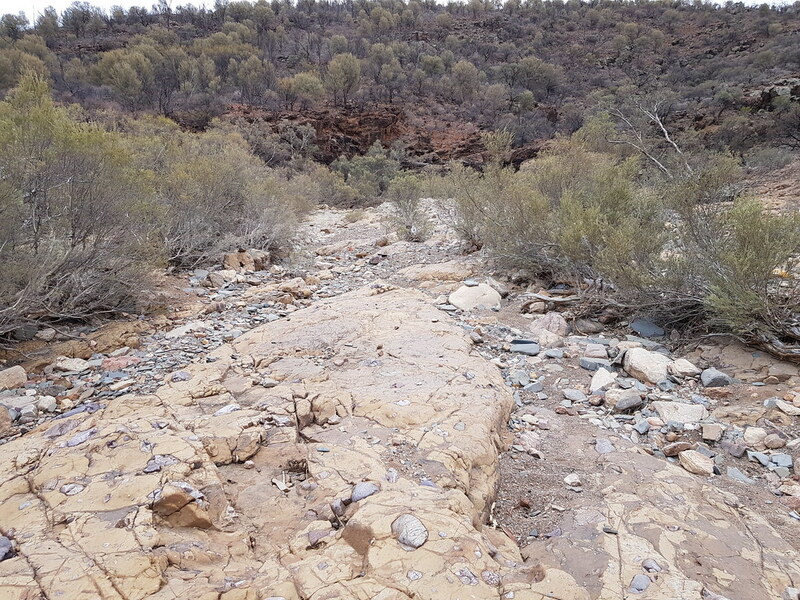 Trent descending – as always, it was steeper than it looks in a photo! He was “fully clenched”. When we purchased Stan the Lexus over 4 years ago now, one accessory we added was a tyre pressure monitor which allowed us to keep an eye on pressures from inside the car. My argument was that one day, it might save us from a catastrophic failure by alerting us to an issue before it reached that catastrophic state. On our first morning here, I noticed that the pressure on one tyre was lower than expected. Not by much, but enough. I topped it up before our drive, and resolved to keep an eye on it through the day and see what happened. It was fine through the day, but next morning before our Echo Camp Backtrack drive, it was low again. 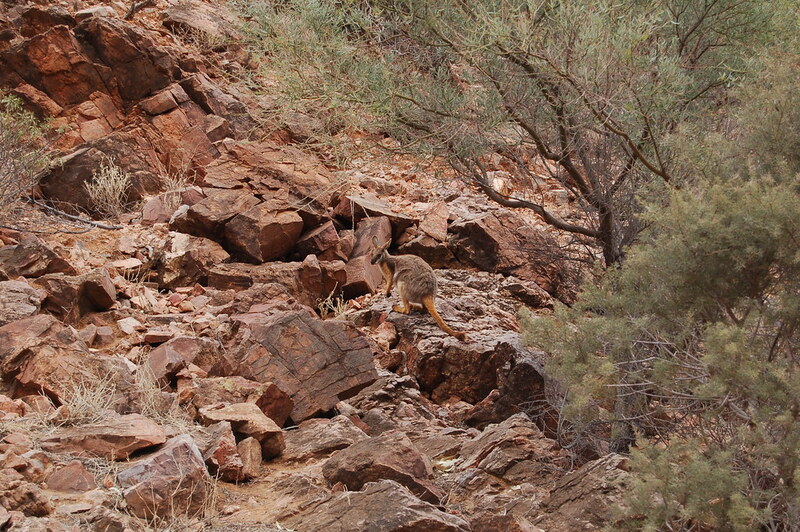 Fortunately they have a mechanic on site at Arkaroola who does repairs, so it was down to see him. It took a while to find, but as soon as we took the tyre off the rim we could see a 4cm long old rusty stake that had pierced between the tread blocks. The pressure monitor paid for itself in that instant, as we likely would not have noticed until too late. Now thinking of a new system that includes the camper tyres too. 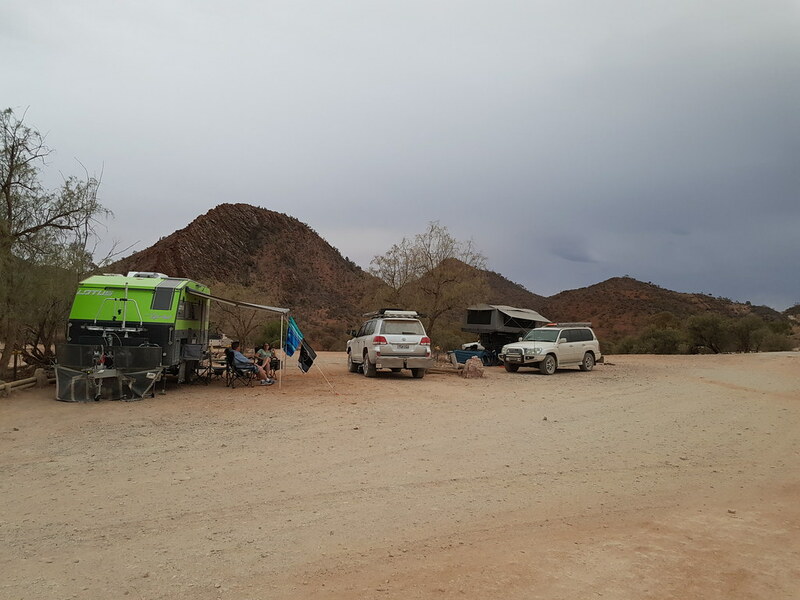 Three nights at Arkaroola come to an end and it was time to move onto our next spot. 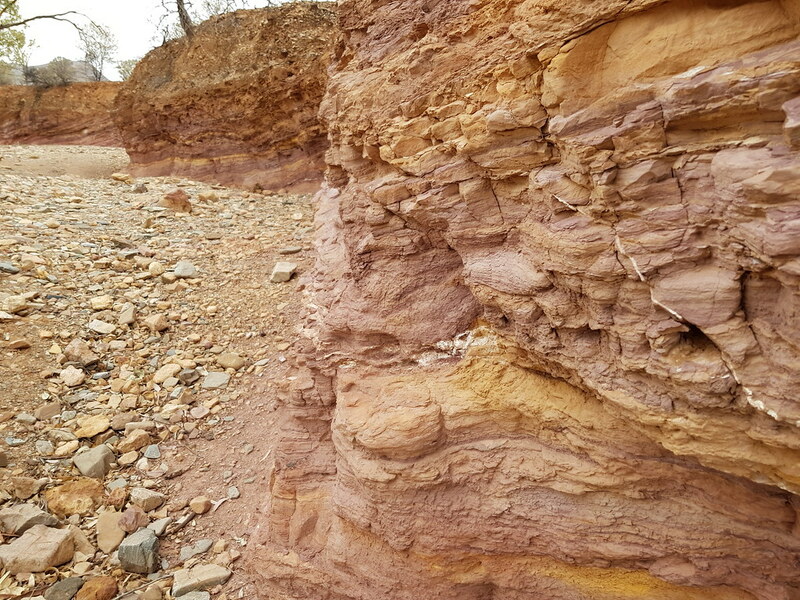 This is an amazing area that we would have loved more time to explore. There’s so much to see. We’ll be back for sure.